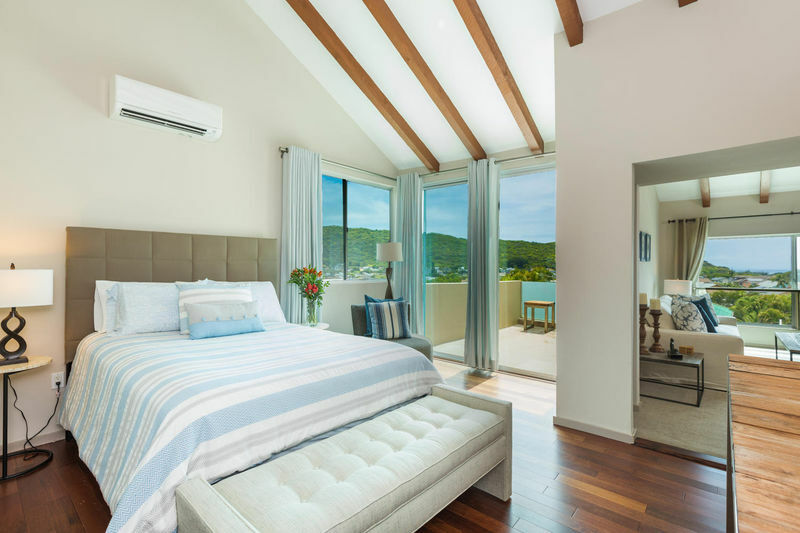 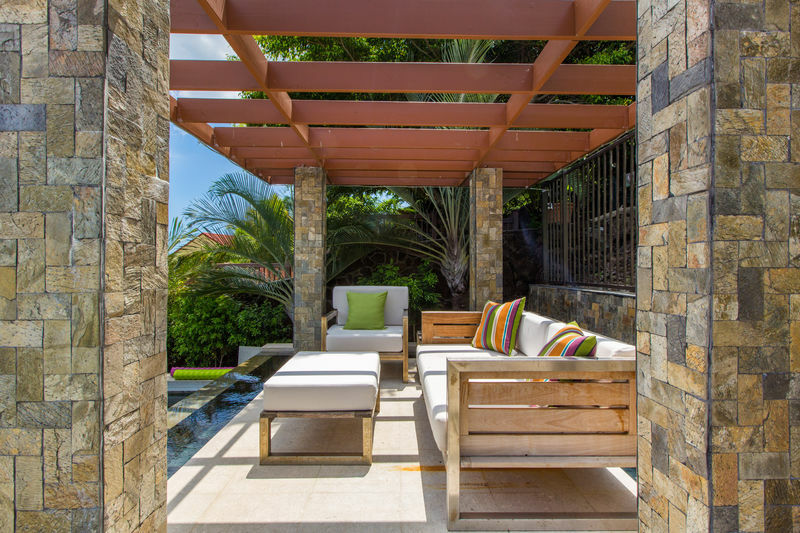 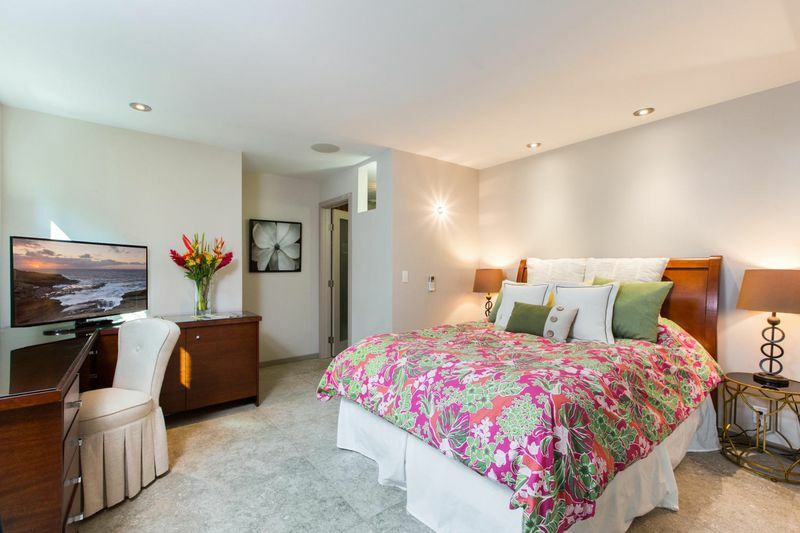 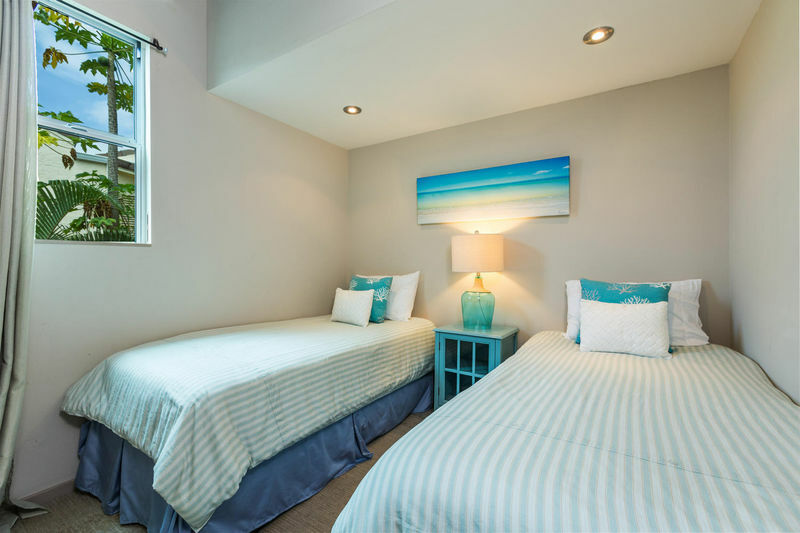 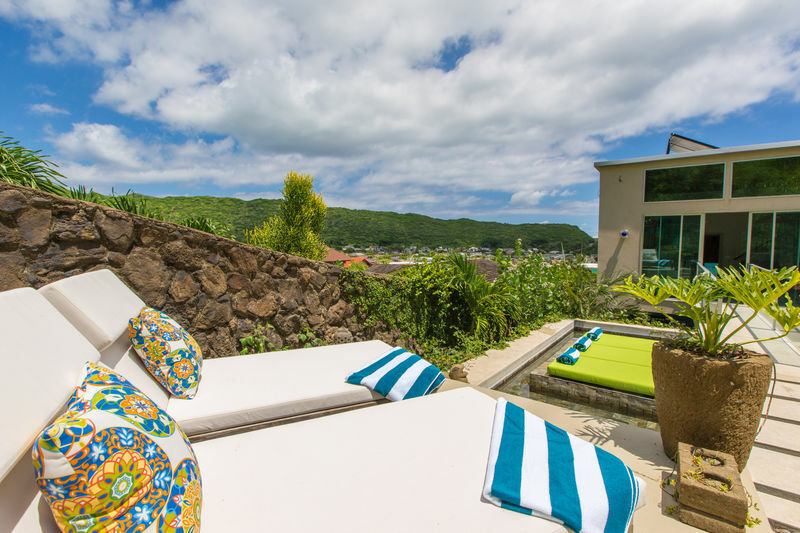 Villa Luana – Luxury Vacation Homes, Inc.
Villa Luana means “to relax and live in comfort and ease, and enjoy oneself,” which is just what you will do once there. 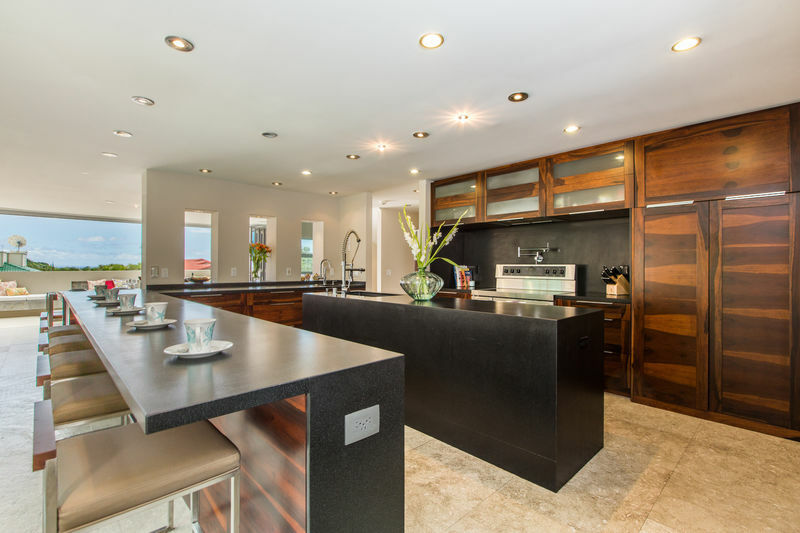 This unique luxury one of a kind home was built perfectly for multiple families or large groups. 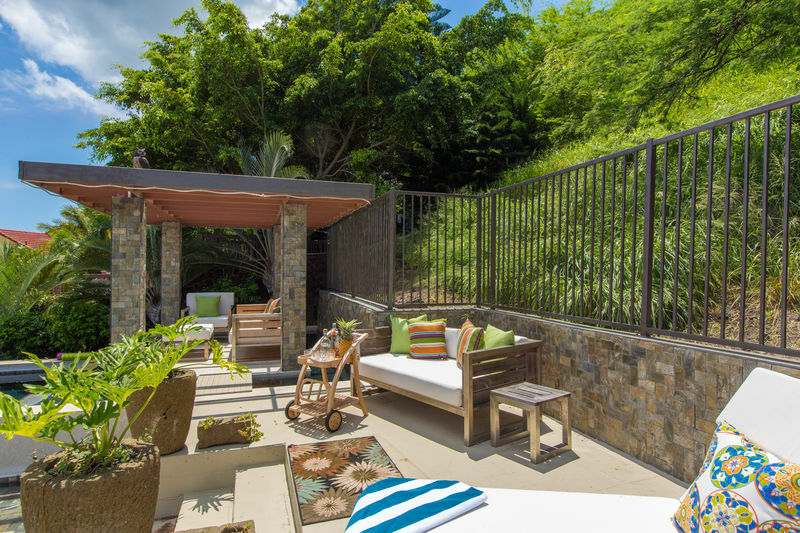 Offering multiple separate living spaces, an office, large living & entertaining areas, gourmet kitchen and an amazing pool and cabana. 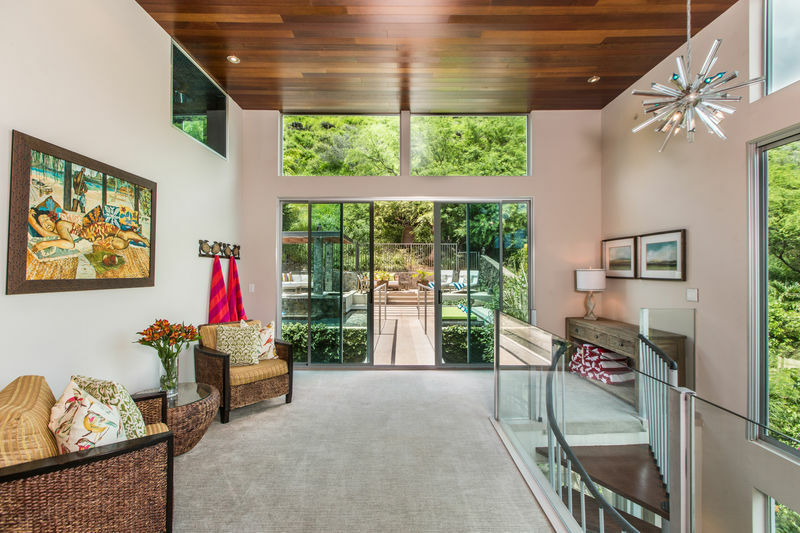 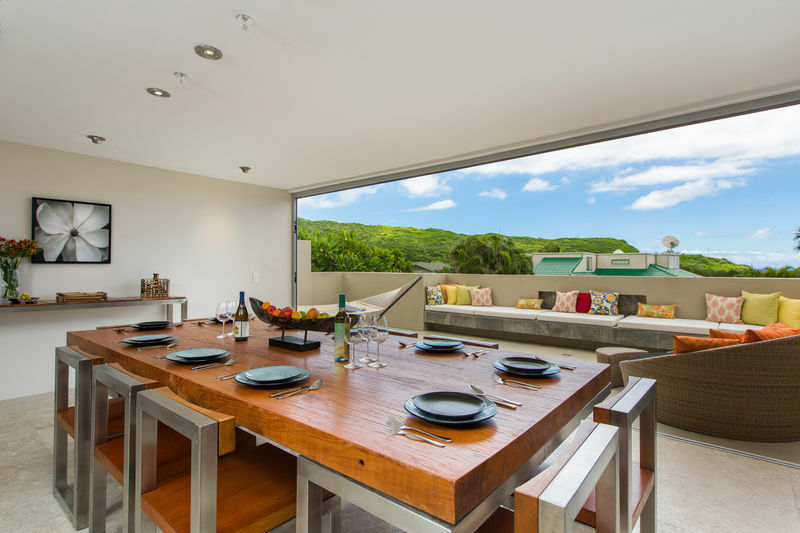 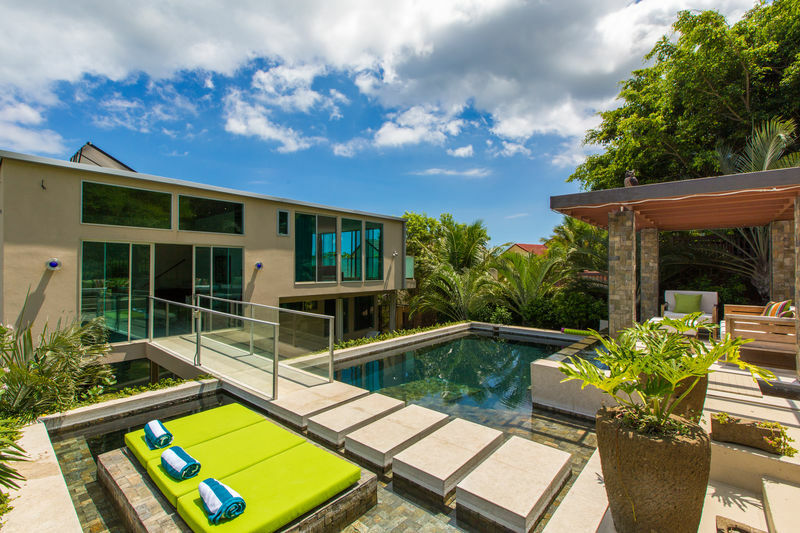 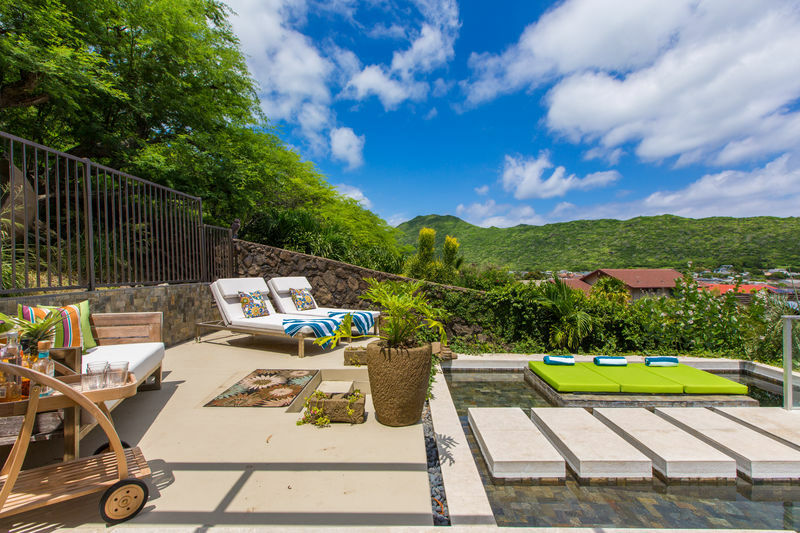 One of the main highlights of this property is the pool area; a true private oasis. 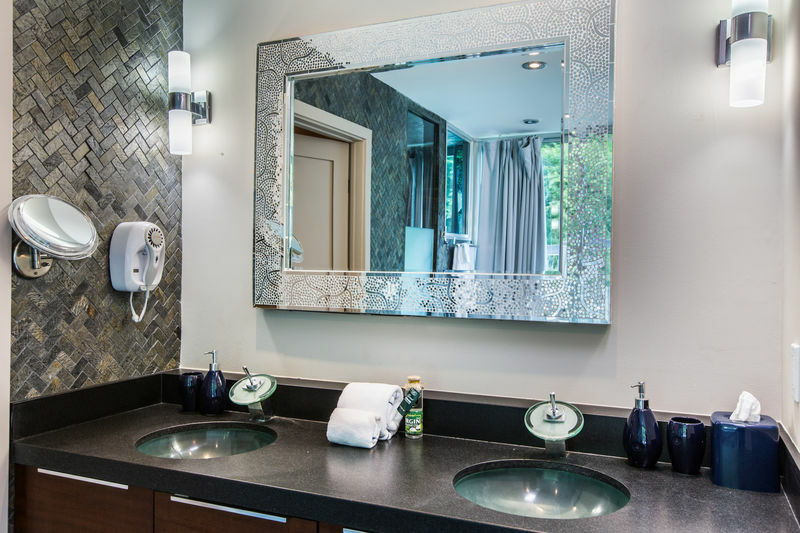 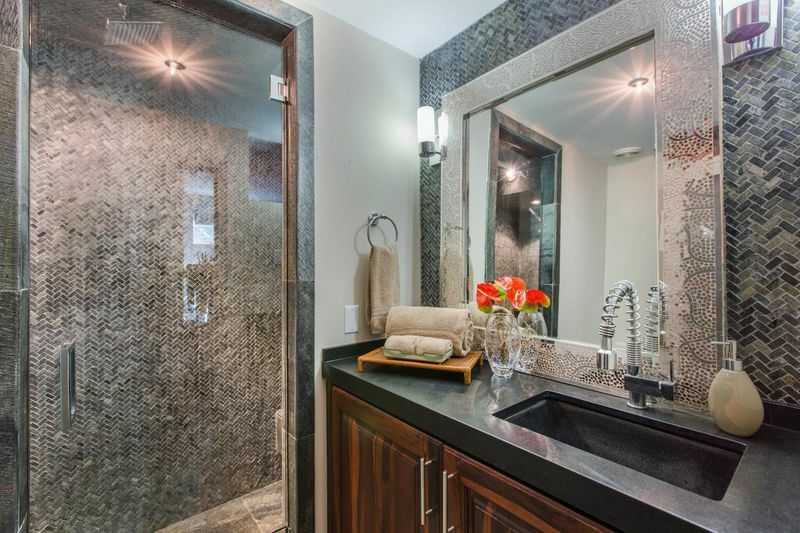 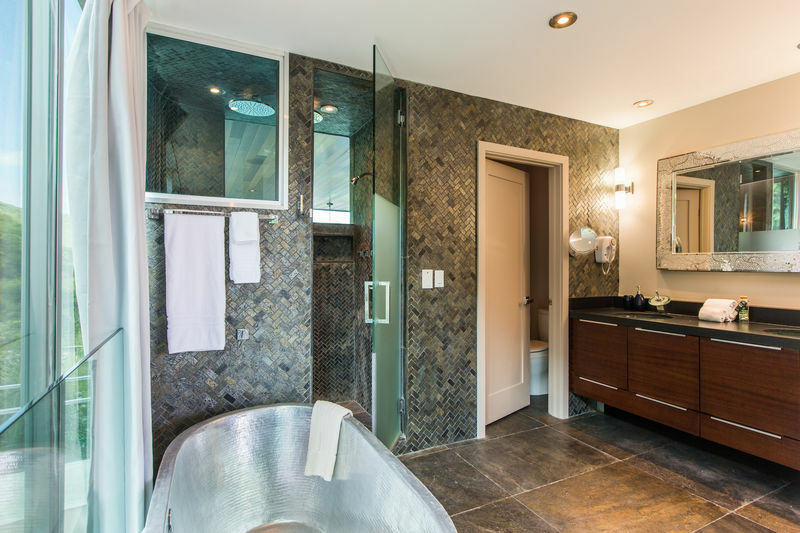 The beautiful dark tile, overflow waterfall feature and extensive lounge seating makes you feel as if you are staying in your own private luxury hotel. 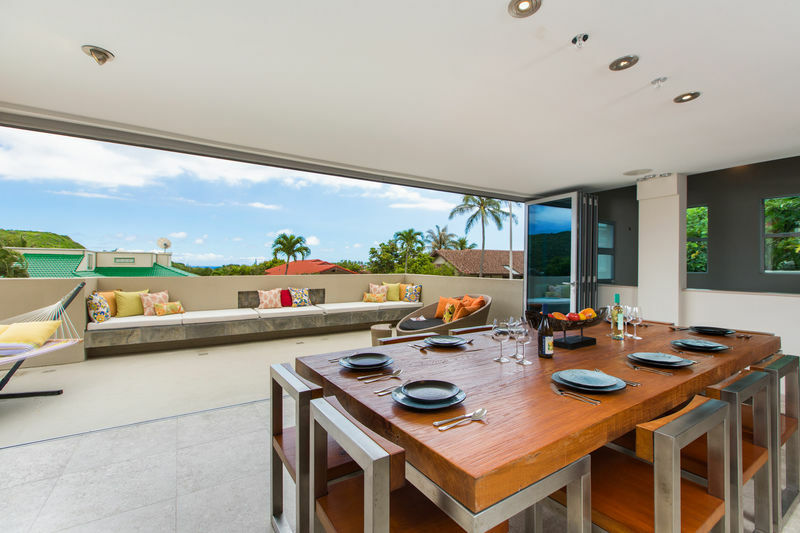 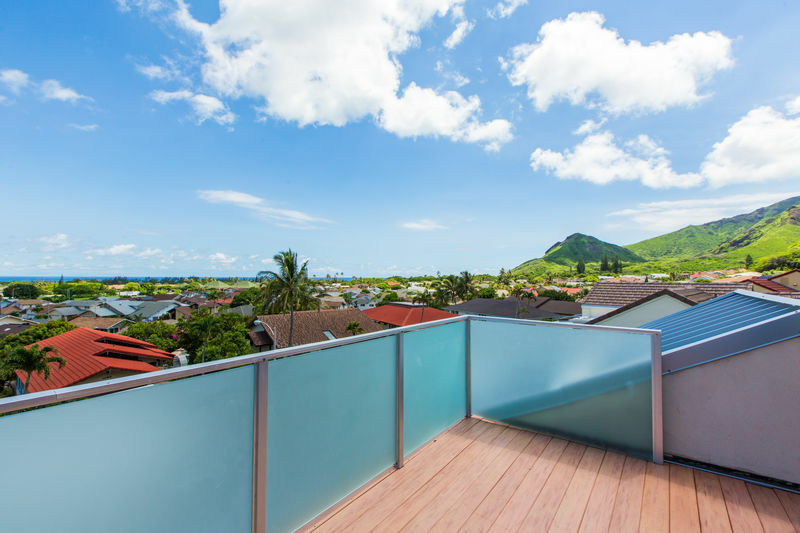 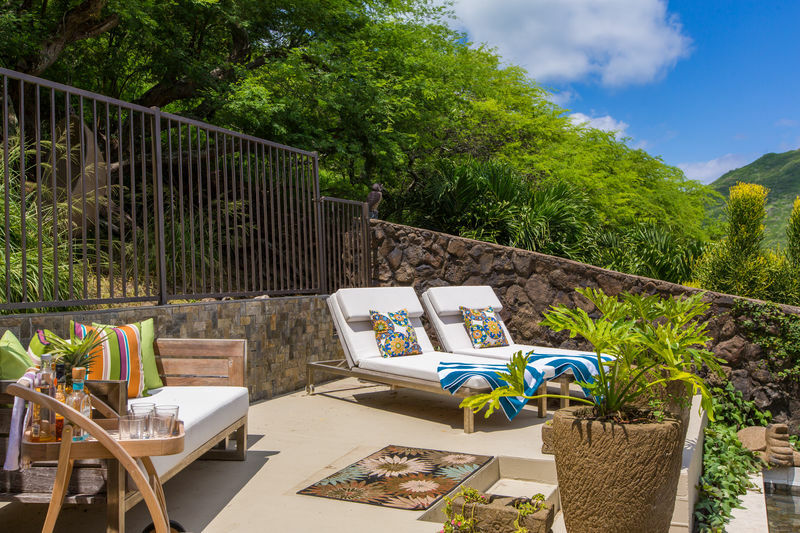 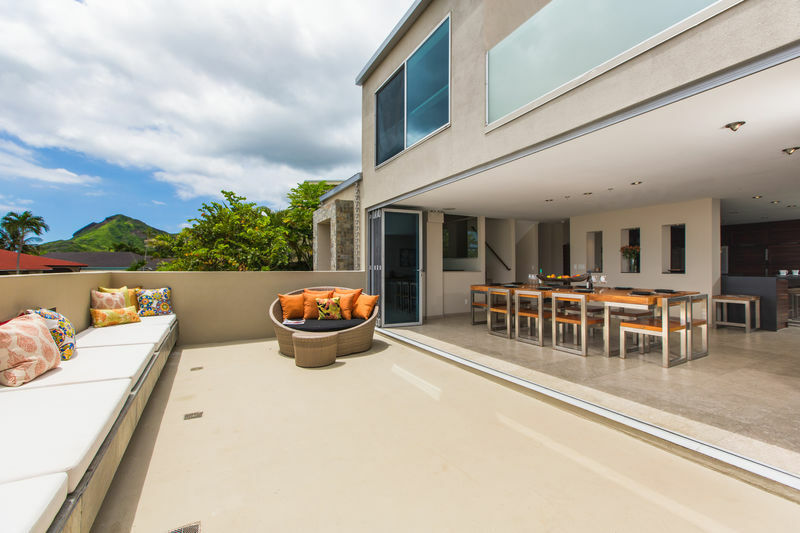 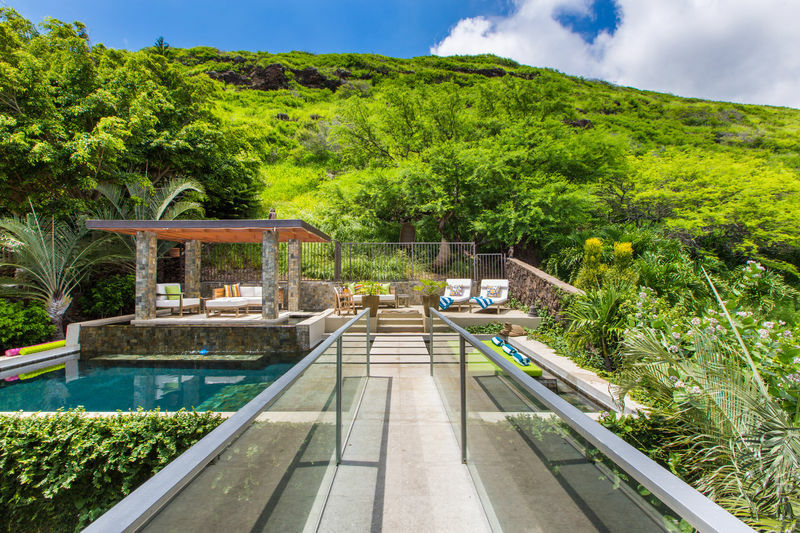 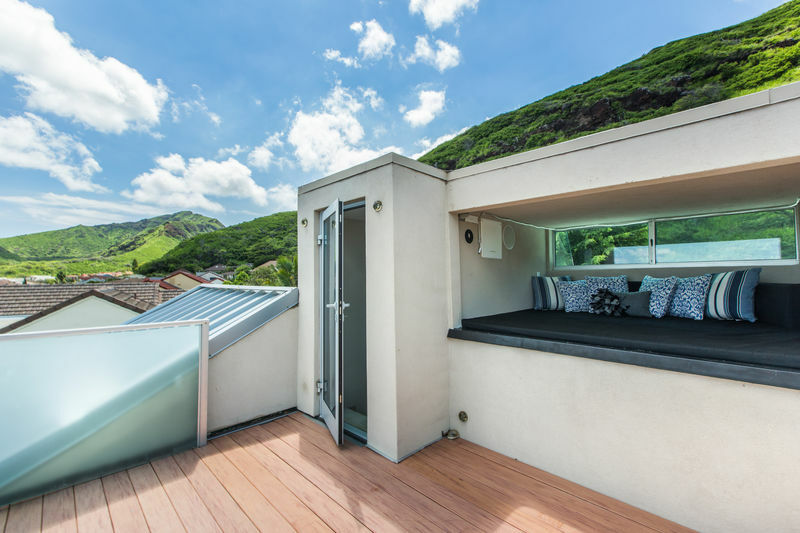 Relax outside by the pool while others enjoy the main lanai or the private observatory deck/lounge and enjoy the beautiful mountain and peek-a-ocean views or at night gazing at the stars. 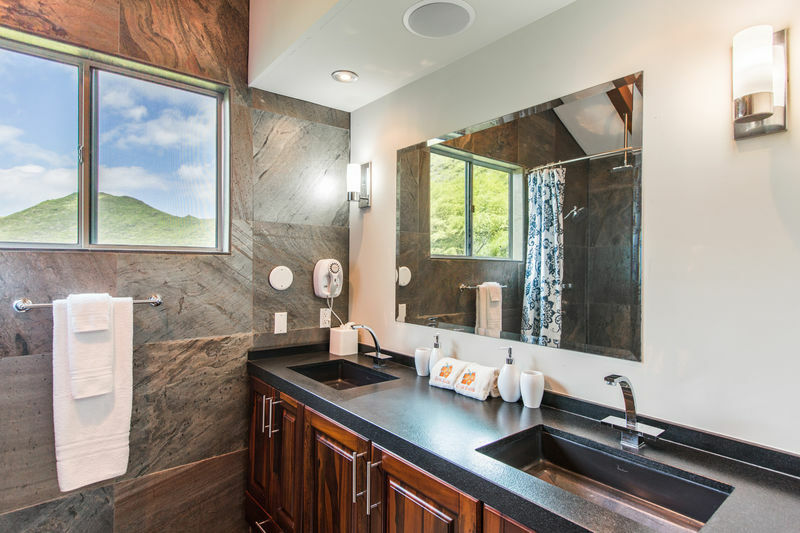 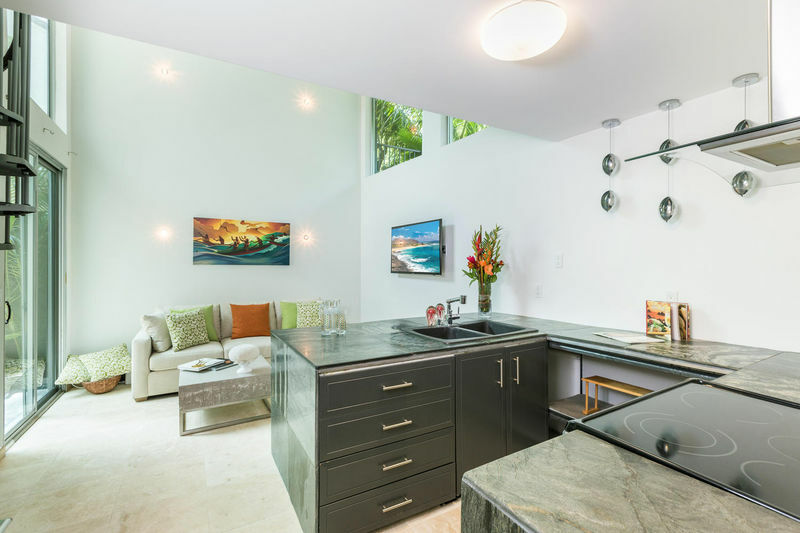 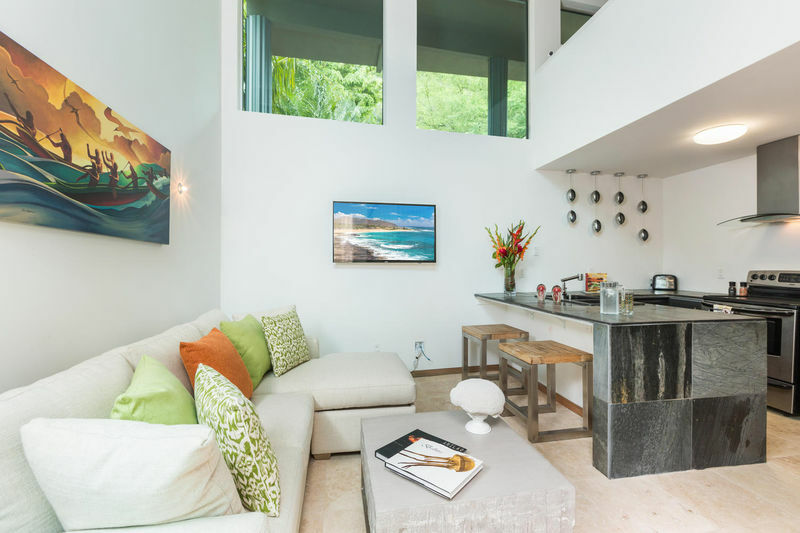 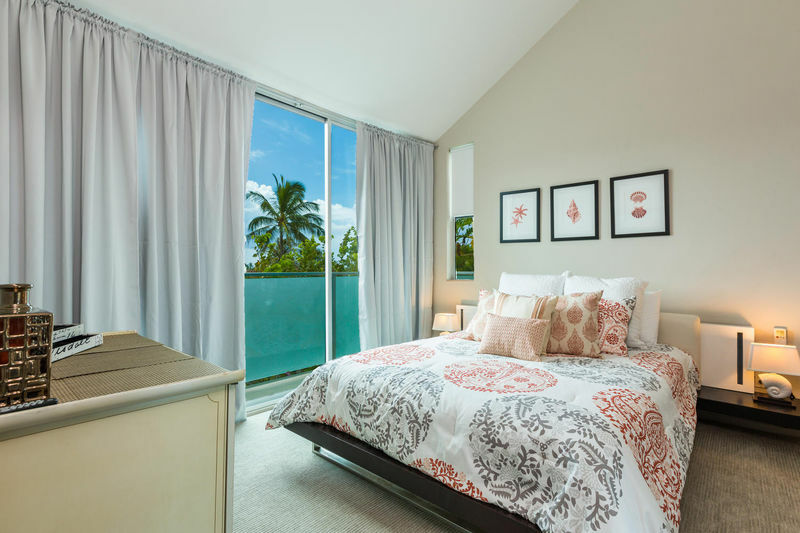 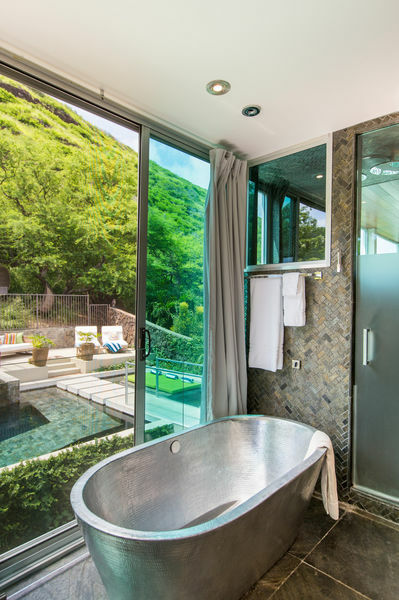 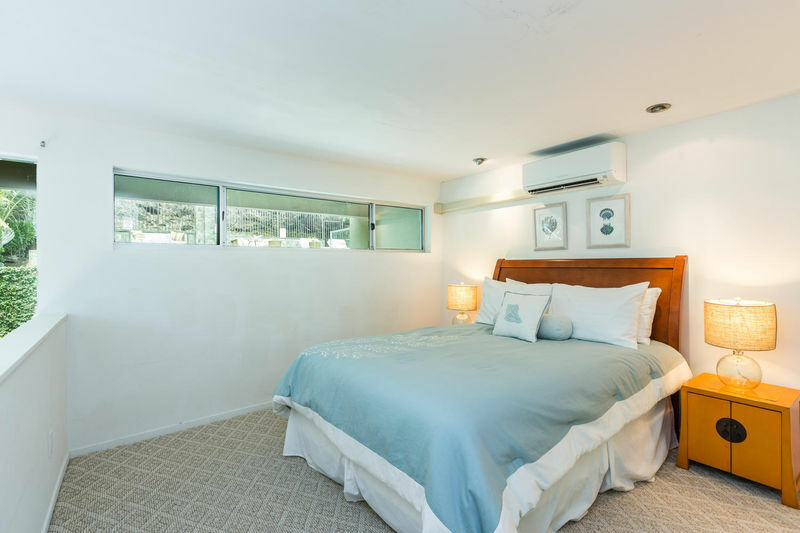 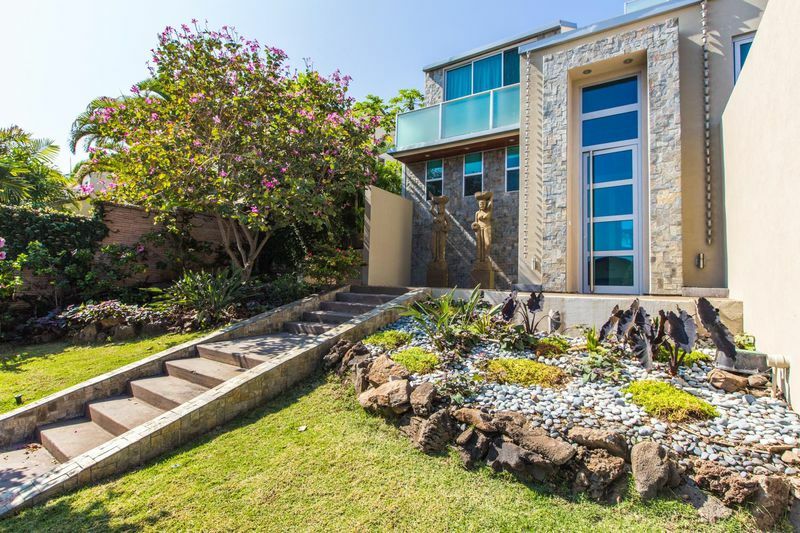 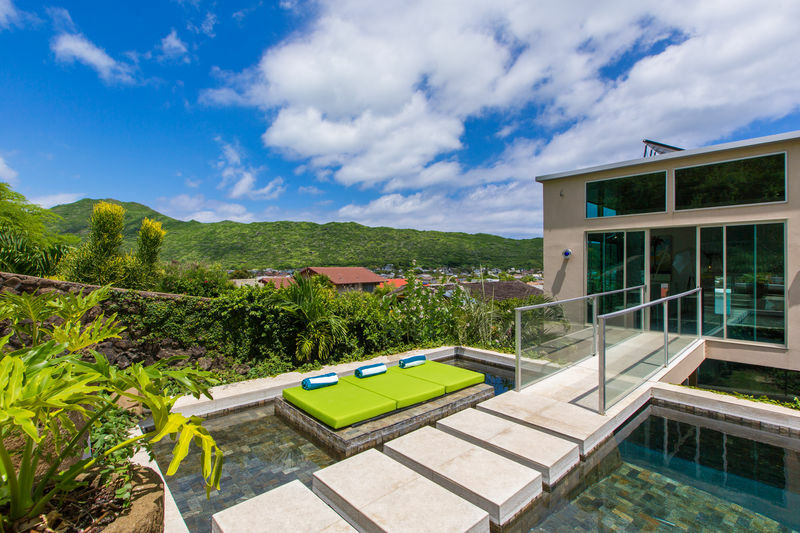 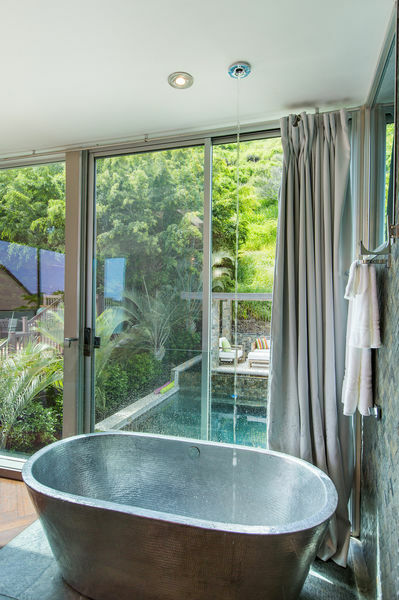 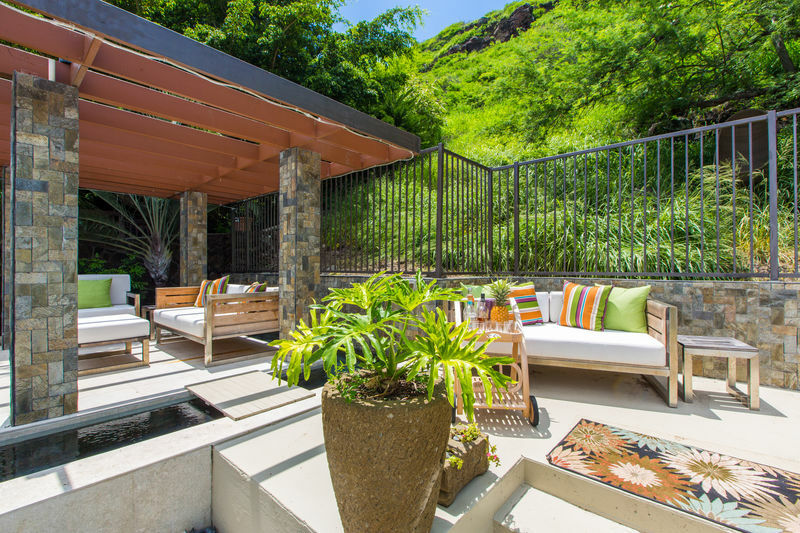 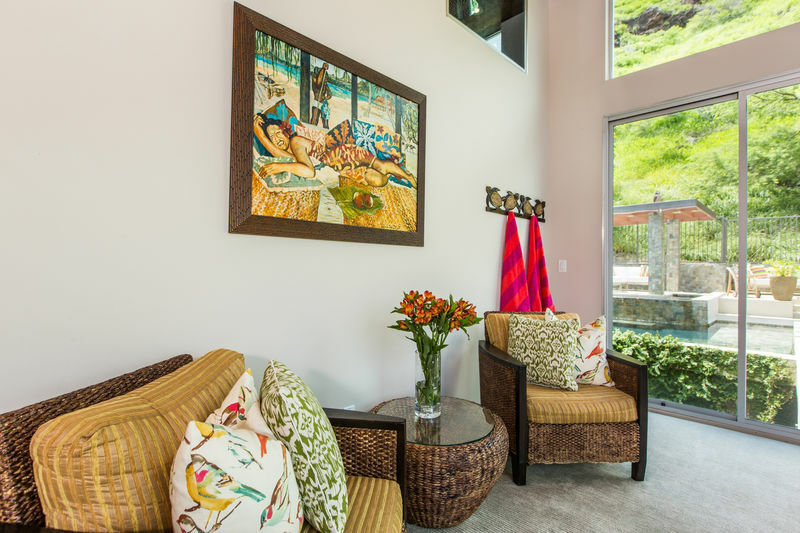 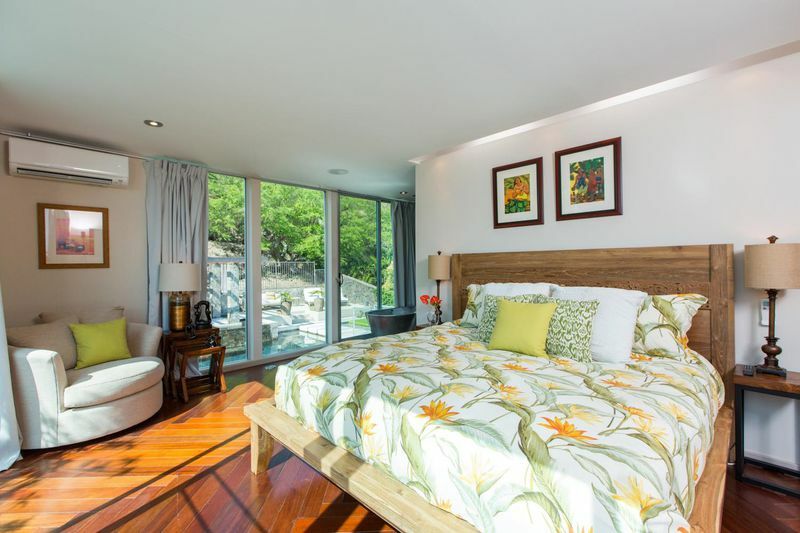 While you may not want to leave your private villa, you will be centrally located in the upscale town of Hawaii Kai, just minutes to the famous snorkeling fish reserve Hanauma Bay and Sandys Beach, only 6 miles away is Waimanalo beach which was voted the #1 beach in the US this year by Dr. Beach. 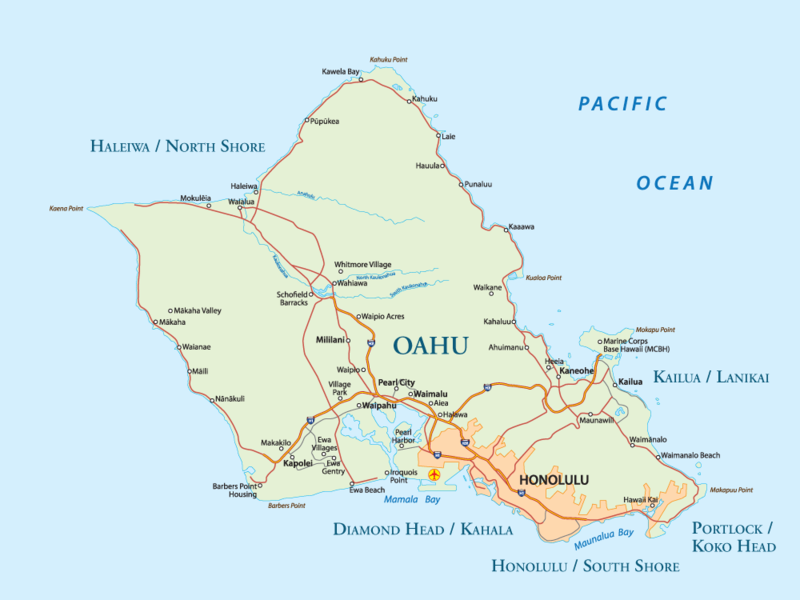 Also just a few minutes away is the Executive Hawaii Kai golf course. 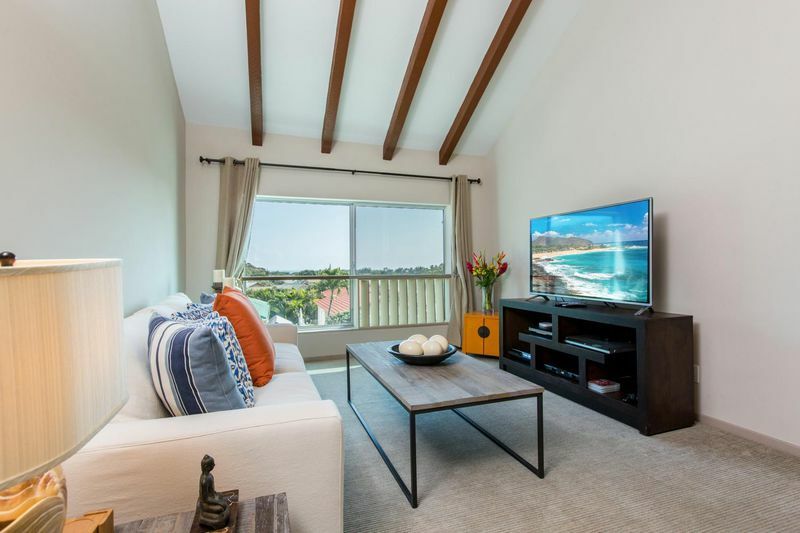 The home is centrally located, a few short minutes away from the Koko Marina which has a wide Varity of water sports, 8 Plex Movie Theatre with Stadium Seating, Grocery Store (including a Costco! 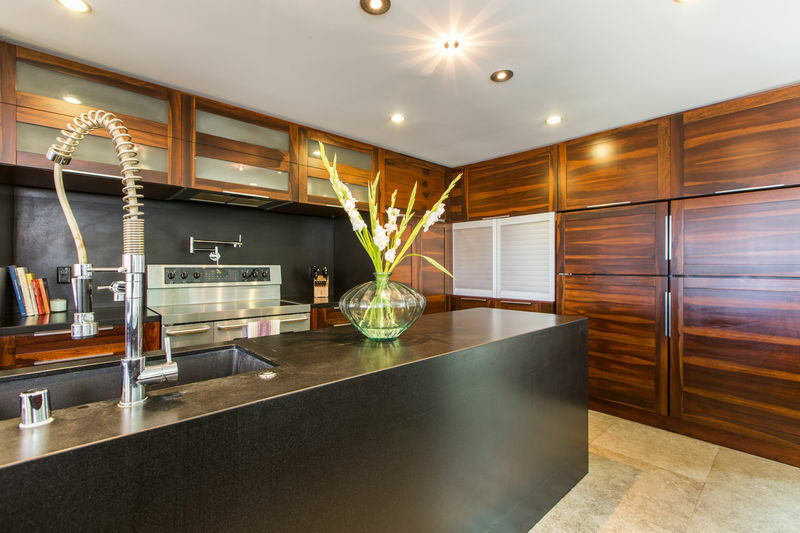 ), Starbucks, 24 Hour Fitness and a number of other restaurants and shops.